Melt 2 tbsp. of the butter in a large skillet over medium heat. 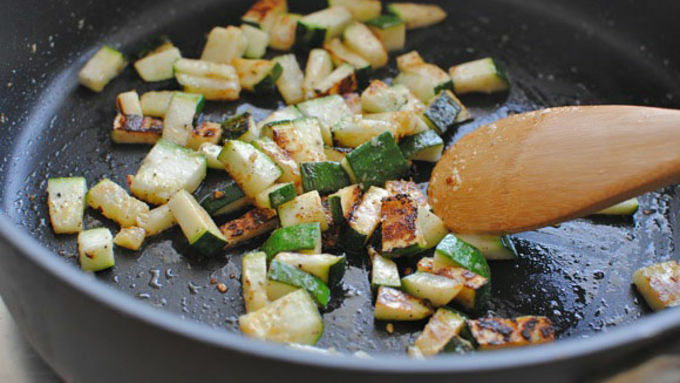 Add the zucchini and sauté until you start to see color, 5 minutes. Season with a pinch of salt and pepper. Remove from pan and set aside. To the pan, add the onions and sauté for 5 minutes, or until they soften and start to slightly brown. 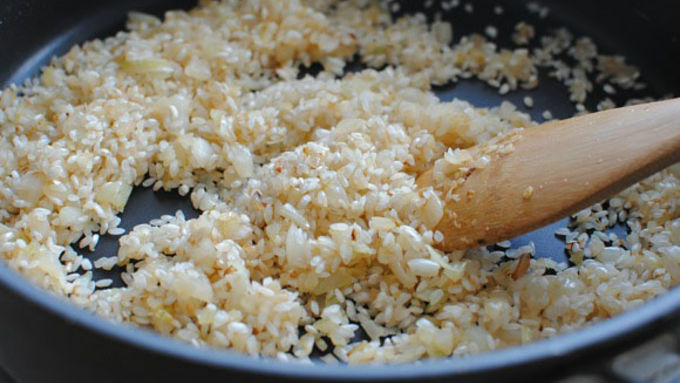 Add the rice and toss to coat with the onions. Toast the rice for 1 minute. Add the wine and let it burn off, 30 seconds. In the meantime, have your 4 cups of stock on a low simmer. Ladle in 1/2 cup at a time, letting the rice slowly absorb the liquid. 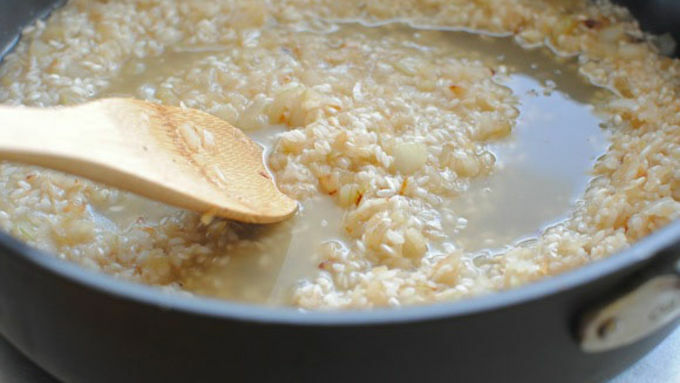 Continue to ladle the broth into the risotto on a medium simmer until the rice has become creamy and al dente. This will take close to 30 minutes. Add the lemon zest, juice, the zucchini, tomatoes, remaining 2 tbsp. butter, parmesan cheese and a big pinch of salt and pepper to the rice. Toss to combine. Taste and add more salt if needed. It's summer and my garden continues to birth tomatoes and zucchini past the point of it being even remotely funny. So, with starch on the heart and lemon on the noggin, I just had had HAD to make risotto. And of course I needed to add roasted garlic lemon butter. 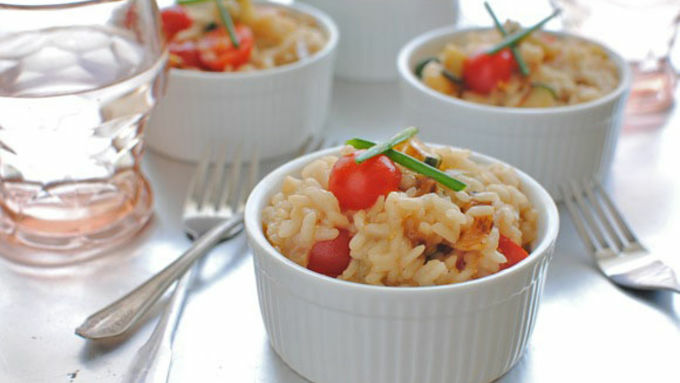 It was divine and perfect and serendipitous and all things hyperbole mixed in this risotto. Prepare for love. 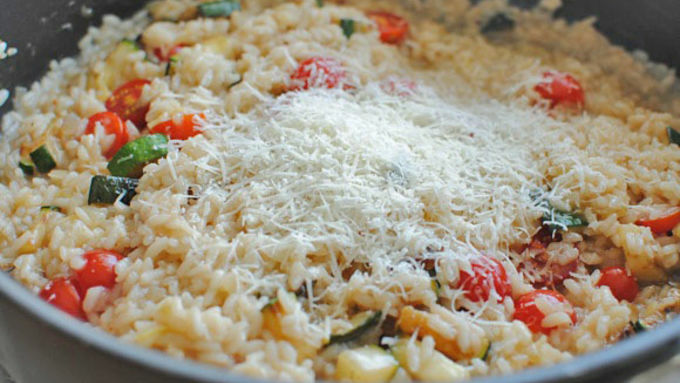 Grab some arborio rice, stock, an onion, some white wine, zucchini, tomatoes, some of that insane butter (or regular! ), cheese and chives. AND A LEMON. To serve I went with little ramekins because I'm pretty much a huge nerd, but you can serve it however ya fancy! Add some chives as garnish. 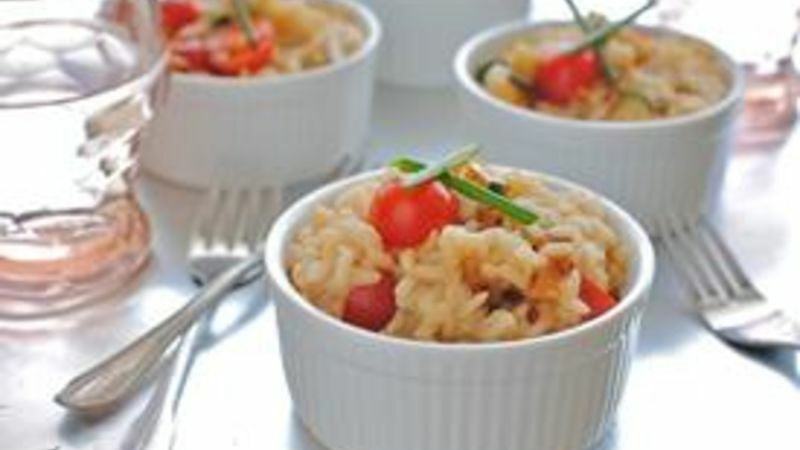 Fresh lemony flavor, creamy rice, pops of garden produce. Yeah, that's really good.